In terms of complexity, ITER is more comparable to a large EPR reactor than it is to one of the existing tokamaks. Benchmarking at other large has taught the ITER planners not to underestimate the scale of engineering preparation and planning required for the assembly and installation works to be performed safely and in conformity with regulatory requirements. The current schedule for the assembly of the ITER Tokamak contains 27,000 lines. And that schedule will expand further as the assembly planners at the ITER Organization work with engineers to structure the activities around construction work packages and further define the steps of the procedures. Beginning in late 2014, each day in the Assembly & Operations Division will begin with a coordination meeting where the previous day's progress in assembly and installation is reviewed and the work plan for the day ahead adjusted. Participating in these meetings will be the assembly planners and managers, ITER and Domestic Agency system responsible officers, assembly staff, the Site Manager (responsible for the overall organization and safety coordination of site works) and, over time, the construction managers for each of the six independent worksites. First, the 27,000 Tokamak assembly activities have to be reviewed line by line—a task of epic proportions—to make sure that each activity is consistent with the latest designs on the one hand and the overall schedule on the other. 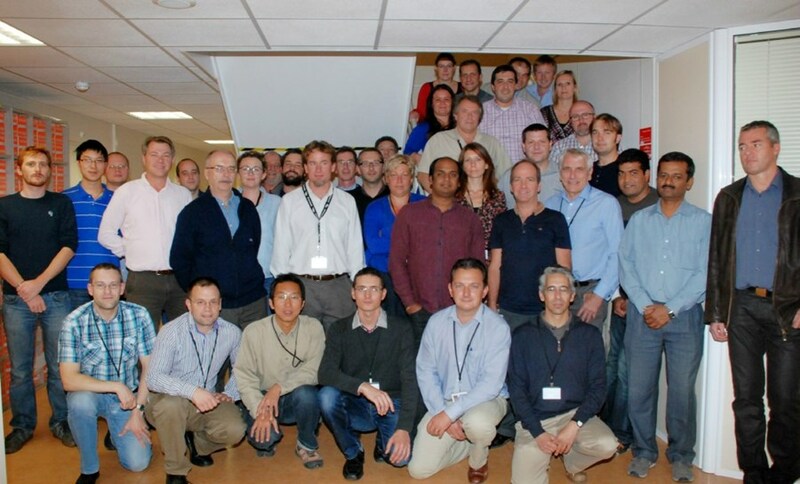 This task falls to ITER's assembly planners, a small team of experts from the construction industry working with Steve Gilligan (Assembly & Operations Planning responsible officer) and Debbie Cox (planning lead within the Machine Assembly & Installation Section, led by Bob Shaw). Planners from the Machine Assembly & Integration Section are working elbow to elbow with assembly planners to create integrated construction work packages for each of ITER's plant systems. "We are currently progressing with defining and planning the hundreds of construction work packages that will make up the complex assembly of the ITER Tokamak," says Steve. "Each one must be reviewed for consistency with the assembly sequence that is being developed through detailed engineering studies before it can be included in the specifications of assembly contracts and finally executed in the field by a construction contractor." Major assembly framework contracts are being planned for the execution of works and for all the necessary support services; within these "umbrella" contracts detailed work packages will be issued based on the actual delivery dates of components and on construction progress. Even to prepare for the works, there are 10,000 tasks planned—engineering studies, mockups, trials, and the preparation of contracts, some of which need to be in place by mid-2015. It is also necessary to elaborate a management plan for site works that defines roles and responsibilities, the management of work execution, cost control and other key factors such as logistics, materials, storage and expediting, with safety a prime consideration at all times. Last May, the ITER Organization presented an overarching construction site management strategy to ITER's Management Advisory Committee (MAC) and since then has been moving forward to develop a detailed strategy and implementation plan. 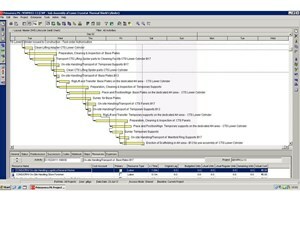 The Assembly & Operations Division is using industry-standard tools to manage planning—Primavera (for scheduling), Intergraph (for construction management) and most recently Cleopatra, dedicated cost estimating software that can handle high-level conceptual estimates based on limited information right down to accurate estimates based on detailed engineering designs. The 27,000-line Tokamak assembly schedule is currently undergoing line-by-line review to make sure that each activity is consistent with the latest designs on the one hand, and the overall schedule on the other. "We were looking for a better and more structured way to manage budgeting and costs," explains Steve. "The complexity of Tokamak assembly and state-of-the-art fusion technology makes it challenging to perform effective cost management. With our new software, we expect to achieve cost efficiencies." For example planners and engineers may reserve three months for the sub-assembly of vacuum vessel sector 6 for example, but it may take less. That would be an opportunity to redirect resources to another area, potentially reducing cost and schedule. "As planners we have to analyze both the risks and the opportunities of every activity and identify, in advance, appropriate responses or eventual workarounds." 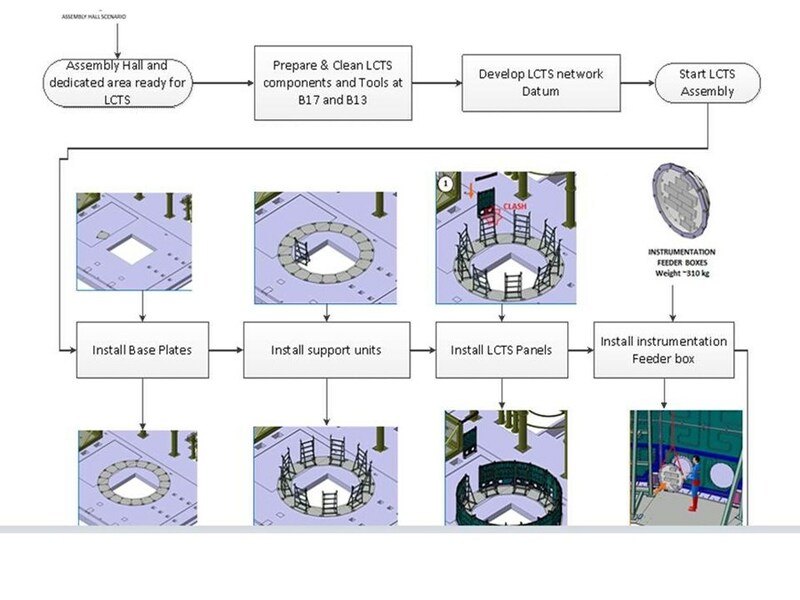 This type of detailed planning is a critical pre-requisite to meeting the ITER schedule. 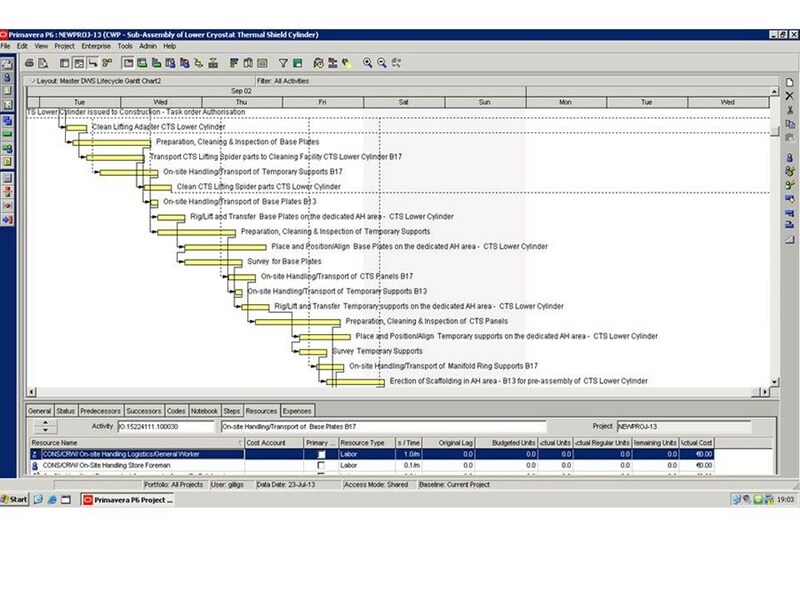 With their new software, planners will be revisiting the cost estimate for the five-year assembly phase based on the latest industry rates, the mature ITER design and the integrated work packages for plant systems—information that will feed directly into the detailed scheduling work underway currently at the ITER Organization and the Domestic Agencies. 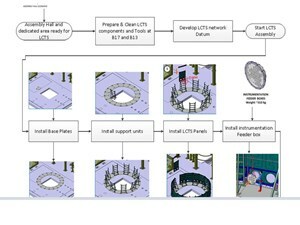 Benchmarking activities at other tokamaks and at large construction projects have taught the ITER planners one important lesson, according to Steve: Do not underestimate the scale of engineering preparation and planning required for the assembly and installation works to be performed safely and in conformity with regulatory requirements. In terms of complexity, ITER is more comparable to a large EPR reactor than it is to one of the existing tokamaks. "ITER will have to install bulk commodities such as power cables, valves, and piping on a massive scale in multiple facilities—that leads to complexities of scale and complexities of organization that have not been seen before in fusion. We may have as many as 20 contractors from the ITER Organization and Domestic Agencies working at any one time in the Tokamak Building during assembly—it's absolutely huge. That's what we're trying to get ready for."